It's not rocket science! Oh wait, it is! 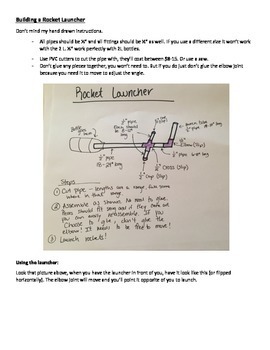 In this lab students analyze the projectile motion of a rocket. Not only that but they get to build a rocket and launch it themselves. 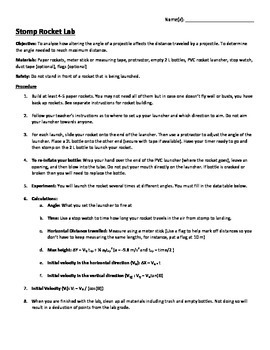 Students will use kinematic equations to collect data on their rockets. What else will you need for this lab? Rocket launchers (which I'll tell you how to build easy ones), paper, tape, 2 liter bottles and a few other random little things. For the launchers you'll need some PVC pipe, fittings and something to cut the pipe with. Looking for other projectile motion resources? Check out my foam dart lab!